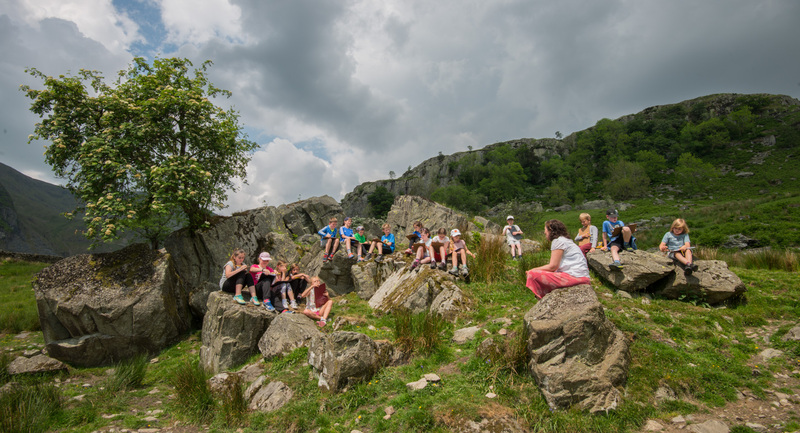 The sun was blazing the day we walked to the Kentmere Rowan with some children from Staveley school in June – what you might call a perfect summer’s day. The value of trees as shade-givers soon became very obvious to all of us. 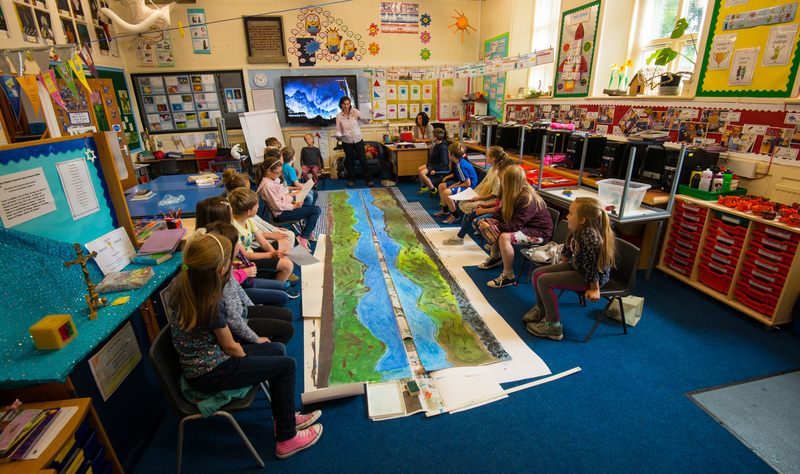 Along the way the children were noticing a lot of the small details around them, from the different sounds of becks to the type of sheep grazing the fields, flowers in the meadows, bugs, butterflies, mosses and lichen. 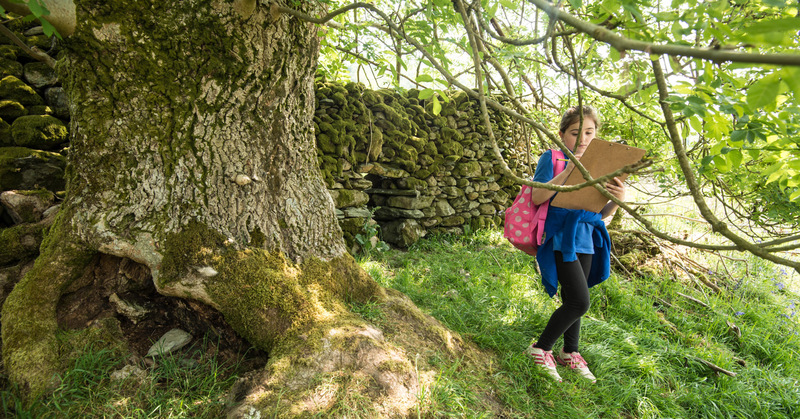 They worked in small groups and collected their observations, noting which trees we passed, identifying them using the ‘nature detectives’ sheets produced by the Woodland Trust (download the Leaf ID sheets here). At the rowan we stopped for lunch and a lengthier look at the small but resilient tree growing out of a huge rock that stands in a circle of boulders. Harriet read her poem ‘Flying Rowan’ and some children sketched while others wrote poems of their own, some inspired by the myth of the god Thor once clinging to a rowan tree for protection – a story recorded in the text Skáldskaparmál that recounts poems and stories passed down, mostly by word of mouth, from Viking times. We considered different ways of measuring time, from the lifespan of a child to the life of a tree, and the long, long life of the landscape. Within site of the Kentmere Rowan the remains of a Bronze Age Settlement set the children thinking what life might have been like then. A collaborative poem written by a group of young poets, Staveley School, June 6th 2016. The future’s in your pomes. Woolly bundles, flocks on rocks. Bees, in and out of buttercups. Wet grass, fresh air, damp wood after rain. Always rooted here – I’d really like to walk! What are the names of the trees surrounding me? What would it be like to be human? What would it be like to lose my leaves? Food and shade and home, to spiders, woodlice, birds. Beauty, colours, love, and millions of seeds.